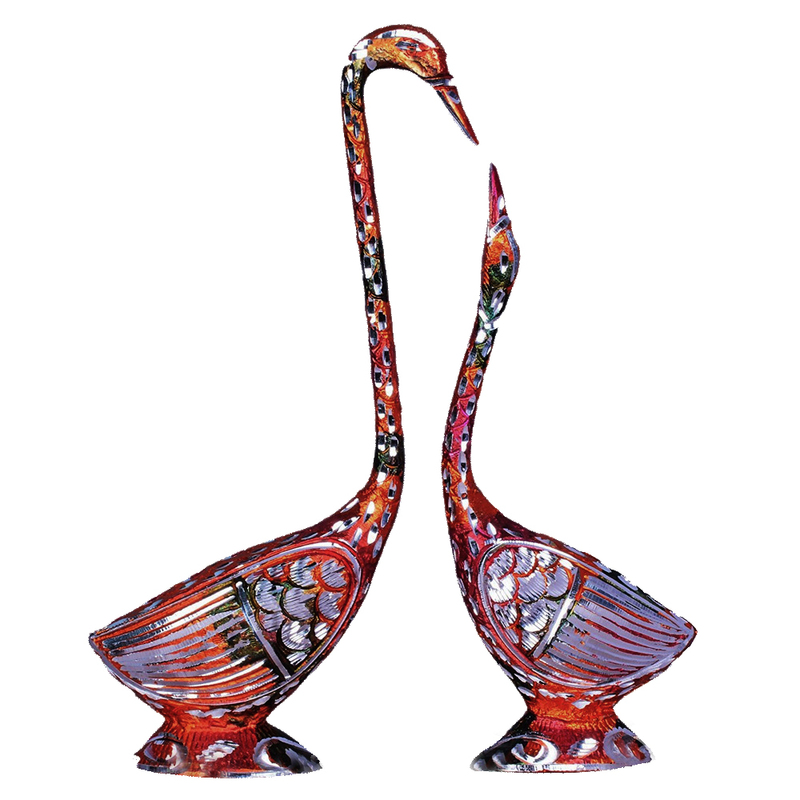 A pair of polished metal swan with intricate meenakari work is exactly what you need on your shelf tops at home. A pair of metal swans adding a bit of elegancy to your home décor is just what you need to add more aesthetic value to Read More..your space. It gives you this zen like feel when you look at it and goes well with all kinds of interior décor. Show Less..